Warm salt cod with a parmesan arugula salad ( yeah, a bit of an arugula overkill but I love it so I won't complain). 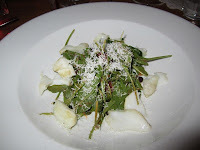 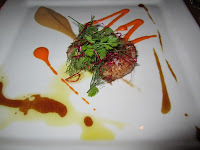 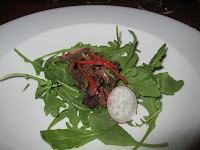 I should note that all ingredients for the dishes were locally sourced including the arugula (grown in giant greenhouses that are scattered across the country). 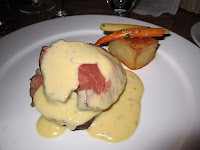 Rare beef in a béarnaise sauce with dauphinoise potato, glazed carrots and parsnips. 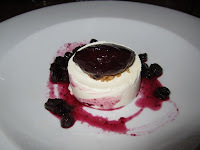 This was so damn tasty – skyr with a blueberry puree and blueberries! Great food shots, Wilson! Glad to see you're having a great time.